So I took a walk around my neighbourhood yesterday evening, and as usual was admiring and checking out the various gardens I passed. I took pictures of three plants that I don’t know, but want to know, for future planting in my own gardens. They all happened to be pink, so this is the Pink Edition of what will likely turn out to be a regular feature! So I’m shamelessly using my blog to find out what they are, haha. If you know what one, two or three of these plants are, leave a comment and let me know. (I feel like one and three are variations of the same plant?) There aren’t any flashy prizes, but you do get my respect and admiration. And those are pretty great, let me tell you. 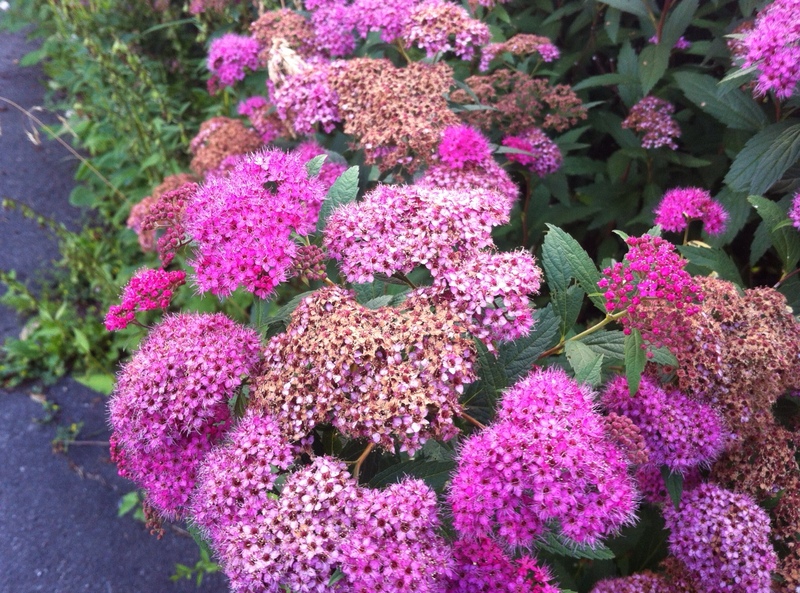 This entry was posted in Community, Day to Day Life, Outdoors and tagged Cape Breton, gardening, Name That Plant. Bookmark the permalink. Thanks very much!! I’ll note those down. And I’m glad that people like yourself liked the challenge… it will come in handy when I need to identify plants in future!! i am mega useless when it comes to naming plants, but that middle one always reminds me of the lorax for some reason. Yes! 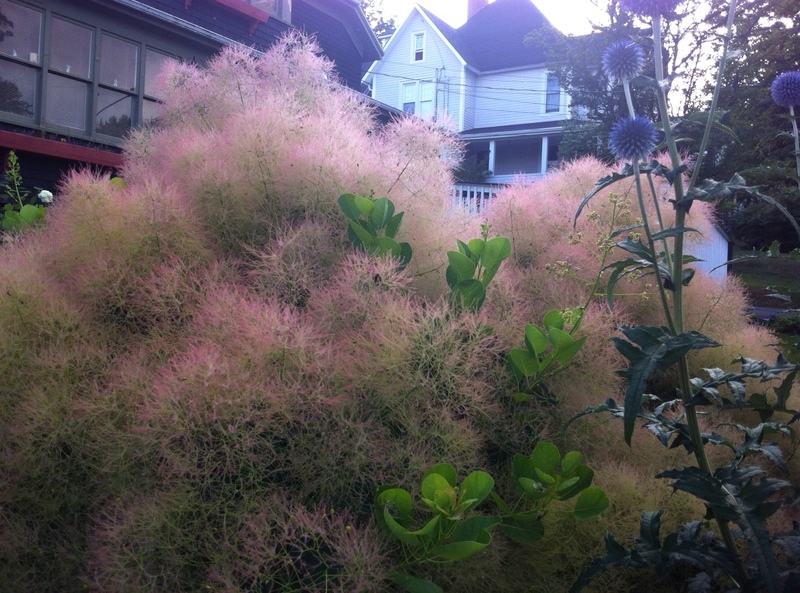 Dr. Seussian plants are the best. 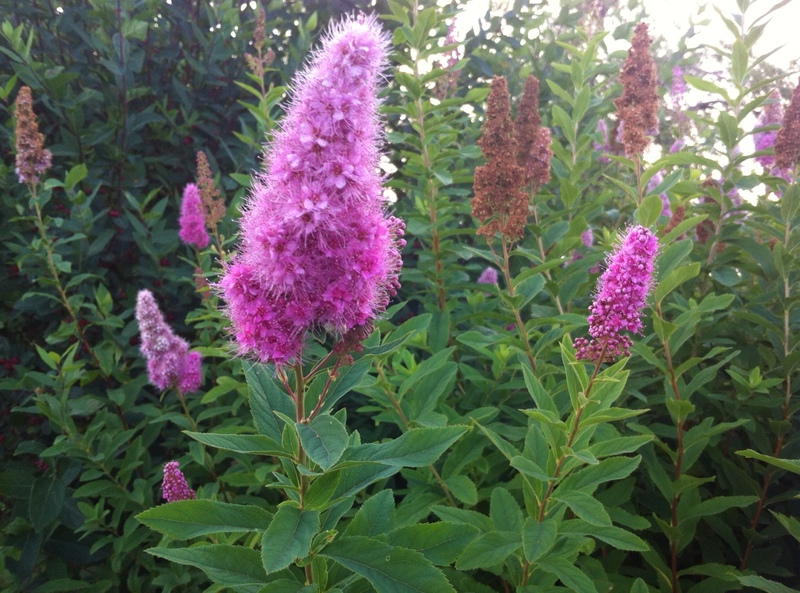 Last one is, I think, a butterfly bush. Great for attracting butterflies!! !